So got up today at like 8:30 and decided I would cook myself breakfast. Knowing that I had a long ride today I wanted to create the perfect dish that would be filling yet delightfully tasteful. 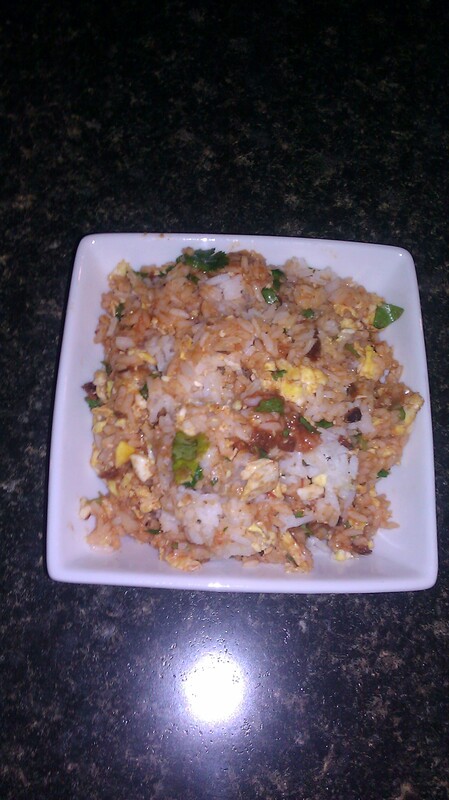 What I concocted next was one of the most tasty breakfast dishes I have ever had. Once I got started up I headed straight to Gustos to hook up with Rick Krepps for an hour of my ride. While we were riding I noticed that my cassette was acting up on me, basically skipping on me. So after I dropped Rick off I made a bee-line to Bike America. Once there it took Kevin less then ten seconds to tighten everything up and just like that I was off to do the rest of my ride. As I was riding I couldn’t help but notice how windy today was. 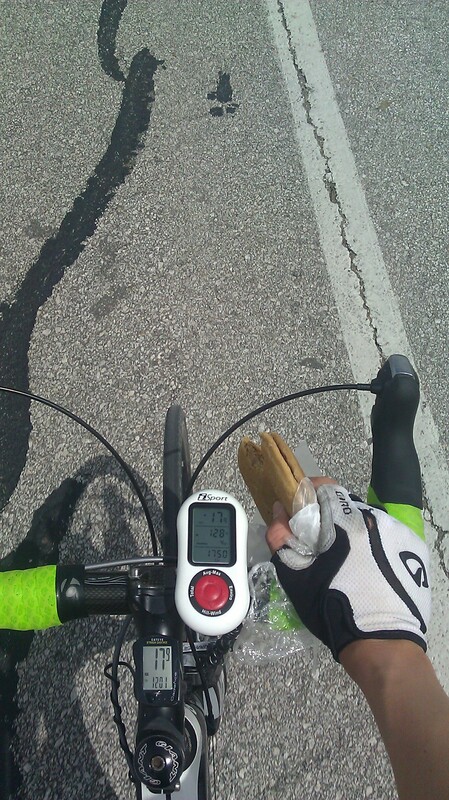 I like headwinds as much as the next guy but when you’re trying to take an easy ride and enjoy your organic peanut butter pancakes (Vans Natural Foods) it kinda gets annoying. But I will say that there is nothing more fun then catching a tail wind and going thirty miles per hour putting zero effort in. So much so that at times I would literally use my body as a sail and just let mother nature push me along. The sad thing about that though is that it pushes you out of the tail wind so fast that your back into a head wind before you even know it. So another hour and a half roll by and it happens. Out of nowhere my chain starts freaking out on me, wobbling and jumping up and down on my cogs so much so that I could barely pedal the bike. Luckily I was pretty close to home that my dad was able to pick me up and take me back to the bike shop. Once there we came in and Chris immediately says; “check the chain,” so Kevin put the chain tester on and sure enough the thing was badly overused or stretched out. I had stretched it about 3/4 of an inch from its original form. After seeing this we all had a little laugh at how I had been riding on this chain in this condition. So the conclusion to this was to make sure you check your chain at least every three weeks or so. I am guessing that if you don’t, you are probably losing somewhere around 8-12 watts minimum when you ride with a stretched chain. Anyway, we ended up putting on a new chain for the time being. The good things is that it happened today and not at Velotek Grand Prix or Joe Martin.